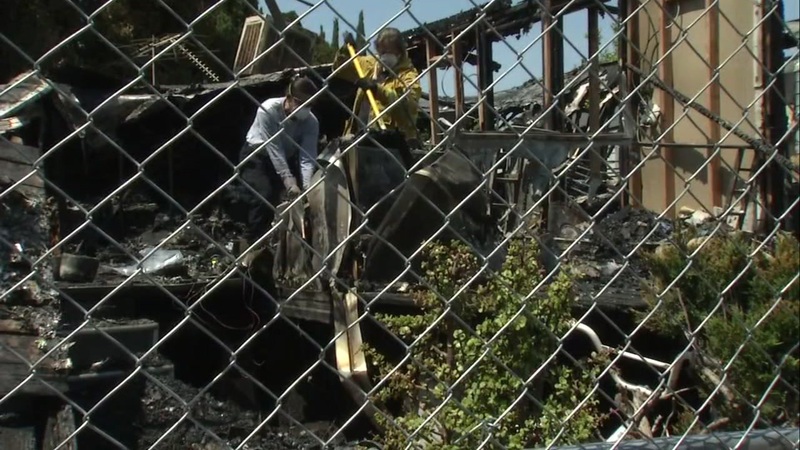 SAN JOSE, Calif. (KGO) -- There are new details Wednesday afternoon about a devastating fire in North San Jose that left three people, including two children, dead. Officials say they are still trying to determine the cause of the blaze that ignited a mobile home at the Golden Wheel Mobile Home Park. Anguish and heartbreak -- a South Bay family is coming to terms with losing one of their own. Linda, 10, was identified by relatives Wednesday afternoon as one of three victims in the fire. "When she took the bike around the neighborhood and someone's calling her, she's always smiling and says 'hi' back to them," said the victim's brother Thanh. Speaking to only ABC7 News Thanh can't believe she's gone. "Everyone in here really loved her, and miss her a lot too." The fire was initially reported just after 12:30 p.m. Tuesday. Neighbors first heard explosions and then saw the flames quickly take over. This incident comes as another blow to the tight-knit community after intense flooding damaged many of the homes in the park in March. "The heat was just too extreme," said neighbor Alex Torres. "The flames were coming at you and all of the sudden -- the front windows just blew out and we all ran back and tried to come back at it again." Family members say Linda was visiting her best friend, a young girl named Uyen who lived in the park and was being looked after by her uncle. Their identities have not been released. San Jose fire officials say they are trying to determine if the home had working smoke detectors. For now, it's too early to pinpoint the cause but it appears to be accidental. "A lot of children who play, they get out of school and they go up and down these streets -- playing with their doggies... to know that two of them are gone, it's difficult," Torres told ABC7 News. If you'd like to help the Van family through this difficult time, click here to donate to their YouCaring campaign.